Imagine : The absence of water circulating in the suit, we are dry, we put warm clothes underneath, some even have electric heating jackets! Waterproof gloves are also available to protect hands from contact with water. In a waterproof suit, it is not hot, but it is less cold. In fact, it is cooled about 20 times less quickly because air is an excellent insulator in relation to water. This is due to the conduction properties of gases and liquids but the object of this article is not to do a physics course. To understand the principle it is enough to imagine to leave in the middle of winter with negative temperatures the hair wet or dry; Everyone will agree that the wet hair will soon be cold. Well it's exactly the same thing in scuba diving. With a wet or semi-waterproof combination (which only limits the movements of the water in the suit but does not prevent them totally) one will feel faster his body will cool down. Whether it is made of neoprene (preferably pre-compressed to avoid the buoyancy variations of classic neoprene at depth and requiring much more ballast) or canvas, a warm undergarment is generally worn underneath (sub-combination) And / or technical clothing. A waterproof suit has an inflator, a kind of push button that is pressed to add air in the dive suit so as not to be squeezed, ie compressed by the garment. 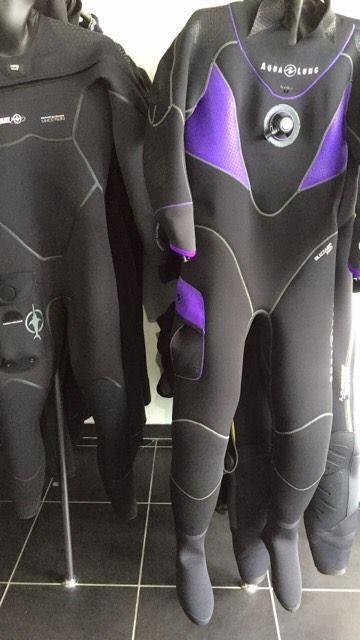 Beware, the waterproof suit is not a buoyancy system and is not there to compensate for an overweight. It can be used in case of vest or Wing breakdown to balance but it is not made for. The air must be placed in sufficient quantity not to feel crushed by the pressure of the water exerted on the garment when descending. To do this, you usually plunge with the purge loosened to the maximum and close again a quarter to a half turn according to the models and habits. In addition, by limiting the volume of air in the suit, one will be less likely to be surprised at the reassembly. We prefer models without boots where we use shoes adapted to limit the air at the level of the feet. This gives a better precision of the palmage and above all it reduces the risks of being embarked towards the surface when air accumulates at this level. To eliminate excess air in the combination during the dive, there is an adjustable bleed most often placed on the arm. To deflate or empty the combination, it will be necessary to learn how to regulate this famous purge, and especially, to know to turn in the eventuality that one would find ones feet in the air. It is only a matter of two or three dives to grasp the handling of such material and excellent training exists at the first levels of diving to learn to master this new volume. The waterproof combination is a perfect tool for diving all year round in temperate or cold areas; One can then take full advantage of these immersions and even make them last without being cold which improves the decompression and therefore limits the risk of decompression accident. 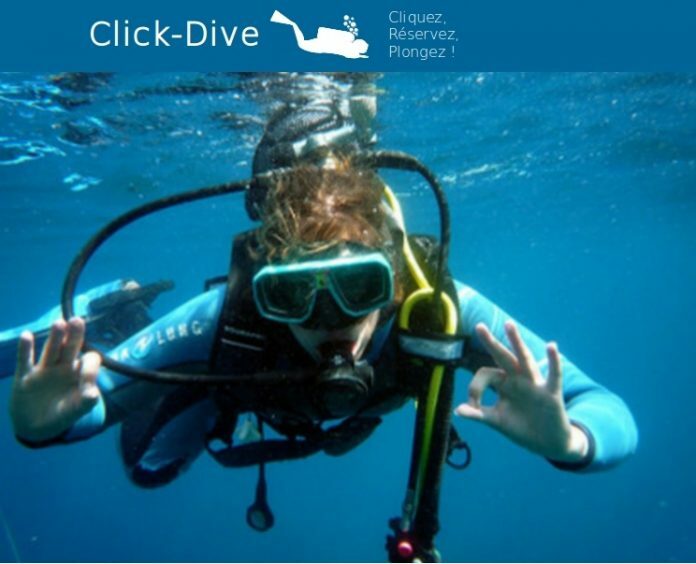 The Click-Dive team, a dedicated diving reservation site, wishes you a wonderful dives.